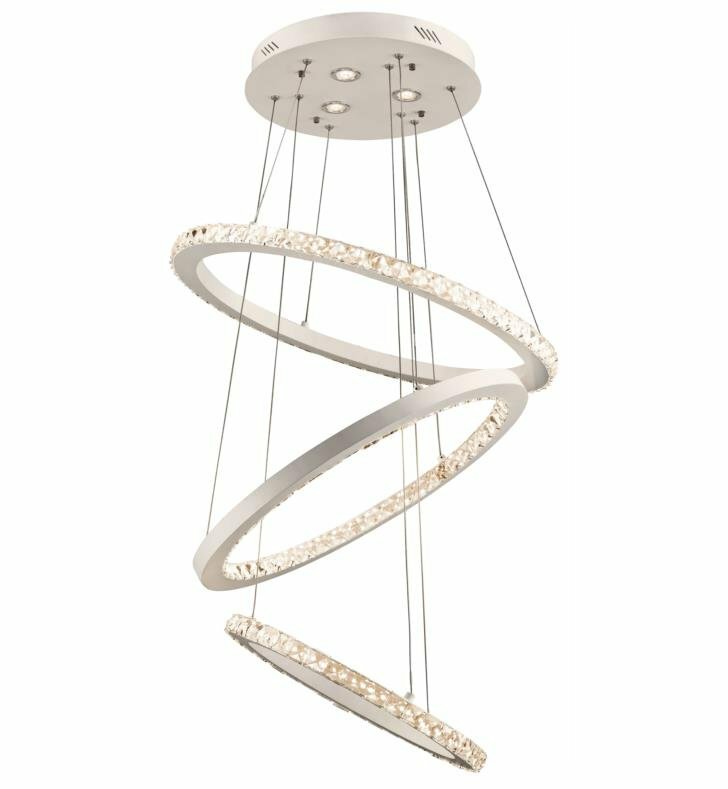 Questions about Elan Lighting 83426? 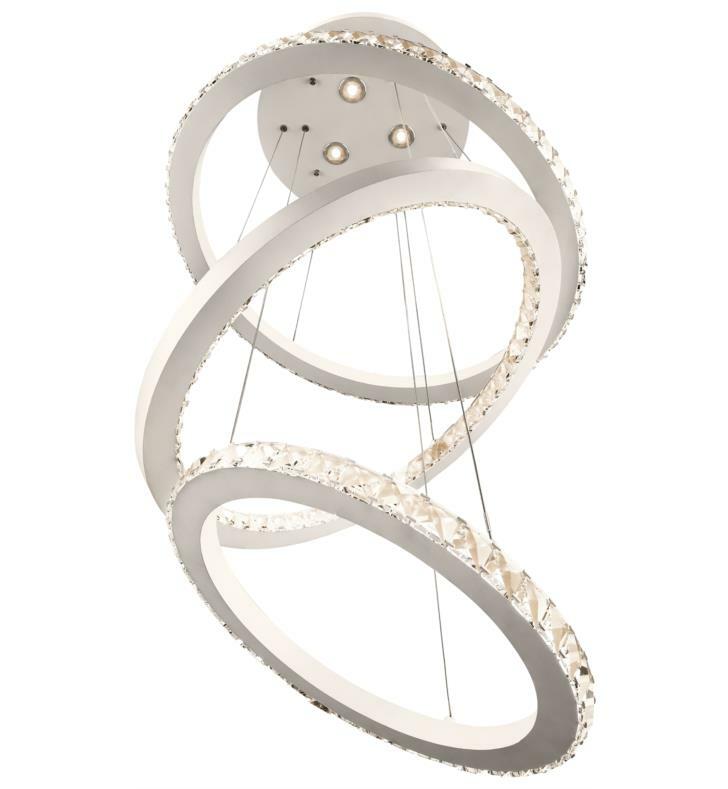 The Elan Allos 6 Light Chandelier creates thoroughly dramatic light with its three hoops of Matte White finished steel frames, hanging at different levels and studded with Faceted Clear Crystal squares. Warm white LEDs are integrated into the Allos' canopy. W 25 1/2" x H 98"